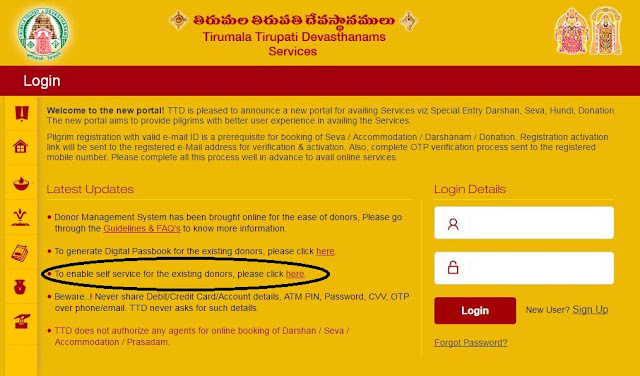 After completion of generation of the digital passbook the donor's can book the darshan as will as the accommodation from the web site www.ttdsevaonline.com. 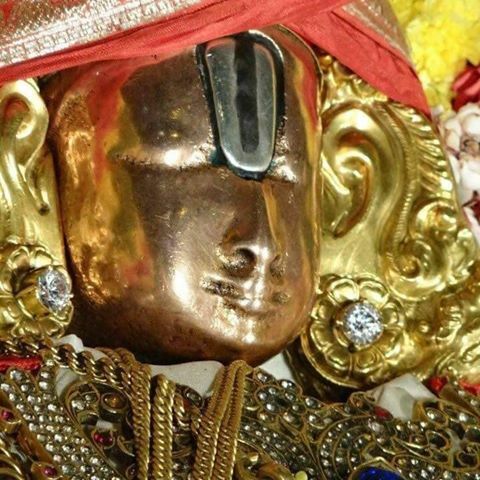 For darshan purpose don't require to booking at all, the donor can come straight away to tirumala by showing the donor passbook and there respective id proof and can join the darshan at "Supadham" entrance, near VQC-1. For accomodation purpose only they have to do the booking, the following is the pic information to make it simple. After that we have to click the option that are provided in the home page of www.ttdsevaonline.com as called as "To enable self service for the existing donors, please click here. Then we will get the screen like this.